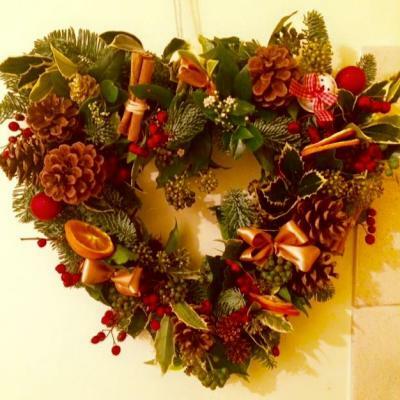 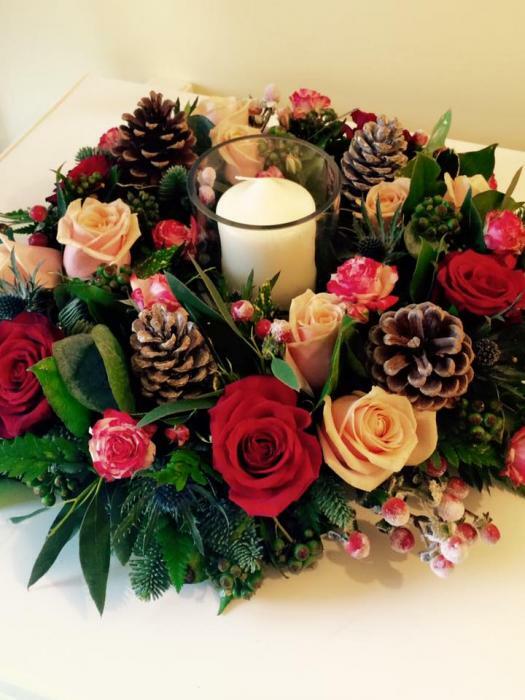 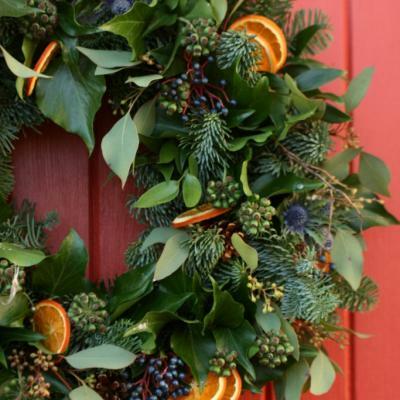 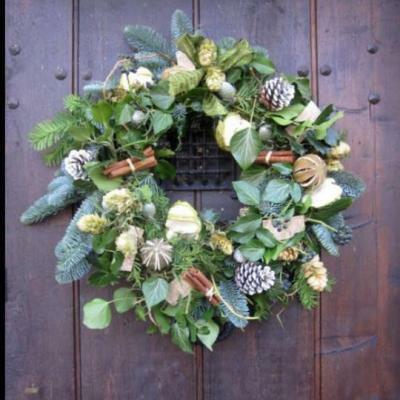 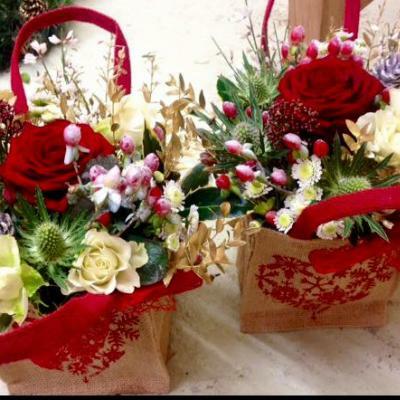 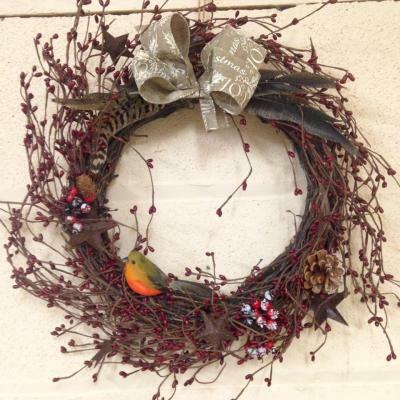 Christmas will soon be here, Flowers By Ruth can help with all your floral needs, because Christmas just wouldn't be the same without a fresh wreath hanging on your door, or a festive arrangement on your Christmas table. 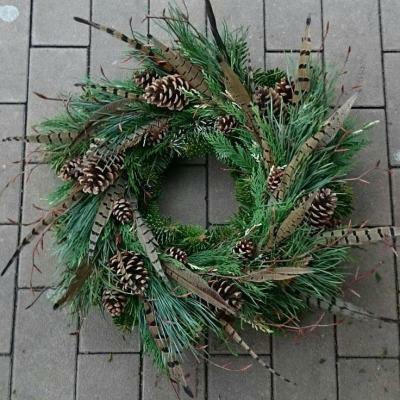 PRE ORDER NOW! 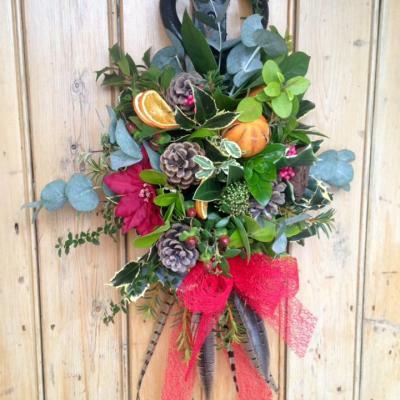 Here at the farm workshop, we have the pinecones, cinnamon sticks, and orange slices at the ready and we are excited for what December is going to bring. 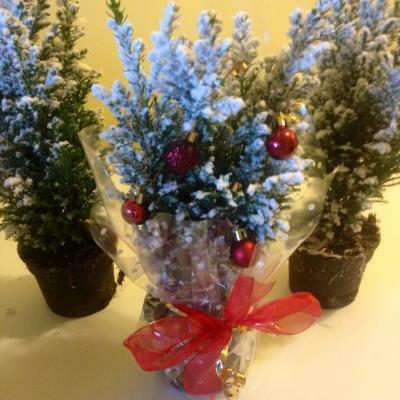 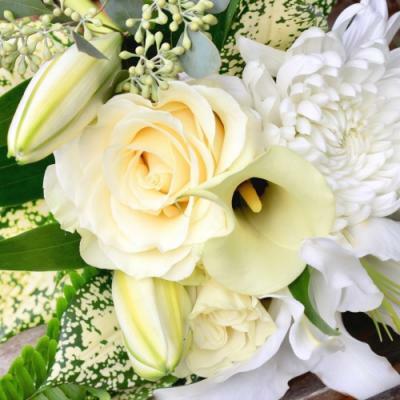 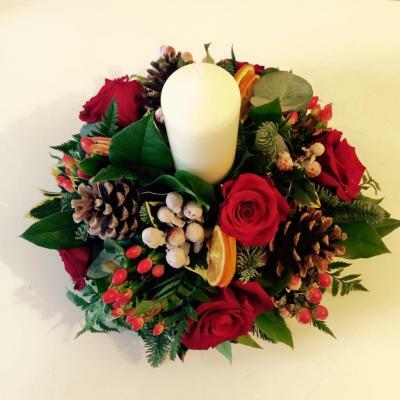 Our designs are the perfect choice for you, whether you are sending our festive flowers as a Christmas gift to family and friends or as a gift to yourself to brighten up your own home. 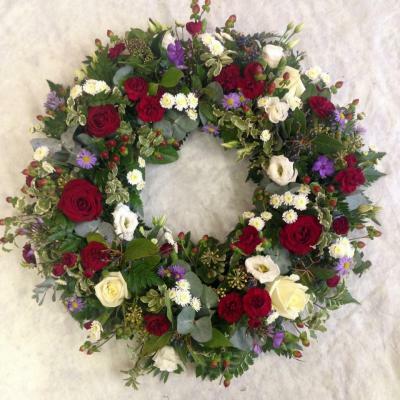 Its so easy to order, just give me a ring to discuss your individual preferences so I can create the perfect design for you — Next day delivery is available where possible. 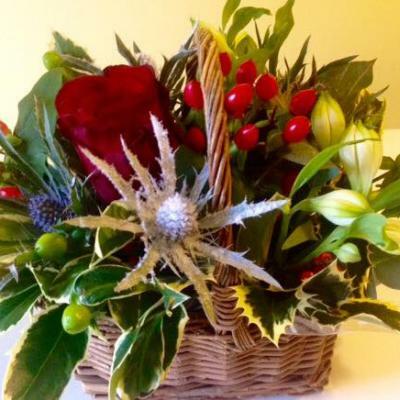 Fresh bouquets and arrangements are made to order with the freshest flowers available to me sent from Holland, so make someone feel special this Christmas with a unique design made just for you. 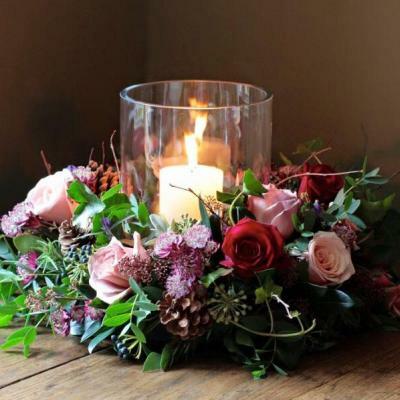 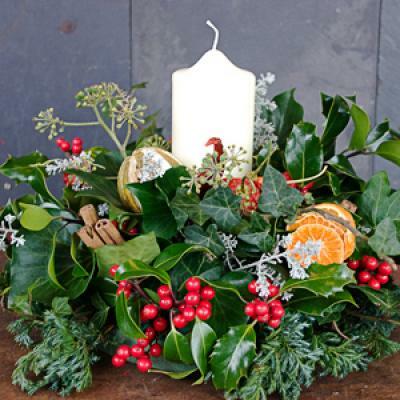 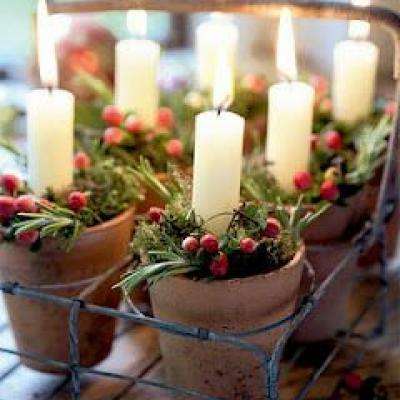 Whether you are after a traditional candle arrangement for your festive table, or if you are after something a little more individual such as a hatbox or a birch arrangement, then we have lots to offer you. 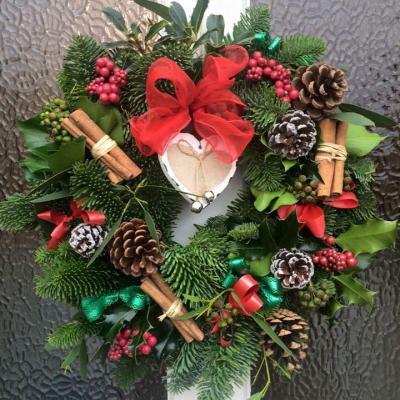 CHRISTMAS VOUCHERS are available for you to order, if you are struggling to know what to get your friends or family this Christmas, they are a fabulous alternative to fresh flowers. 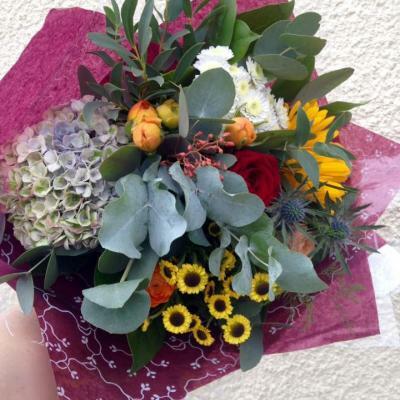 The vouchers are valid for one year so can be used at anytime throughout.